World renowned landscape architect W. Gary Smith designs gardens and landscapes that celebrate the relationship between people and plants. He’s designed and implemented major botanical gardens and outdoor centers all over North America, and his latest project brings him to the Charlotte region. 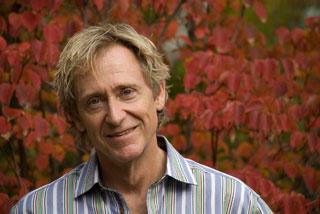 He’s designing a major children’s garden at Daniel Stowe Botanical Garden called 'The Lost Hollow' in a medieval theme. W. Gary Smith joins us to talk about landscape architecture and gardening on a large scale and we’ll find out how you can bring some of the principles he applies to his work to your garden. When you think of historic restoration, most times you think of those TV shows where they fix up old homes to look how they did in their heyday. But Peter Hatch has taken historic restoration to a whole new level - horticultural historic restoration. He was the director of Gardens at Monticello, Thomas Jefferson's home, for 35 years, and while there, fully restored Thomas Jefferson's beloved gardens. He'll be in town this week for North Carolina's Master Gardener Conference, and in advance of that, he and another master gardener join us to talk about Jefferson's Monticello gardens and how it was restored, and about what gardeners today - here and around the world can learn from Jefferson's work centuries ago, when Charlotte Talks. We've all heard about the benefits of "eating local." Well, you can't get more local than your own backyard! If you haven’t planted yet, or even if you have, we'll explore the best practices for planting and maintaining your beds for the most delicious and nutritious vegetables, even with little yard space to work with. Before you know it, you'll have more tomatoes, zucchini and cucumbers than you know what to do with! So we'll fill you in on creative ways to cook them to get the most out of your summer harvest - from salads, soups and salsas to grilling and more. Join us for summer gardening advice from the experts, tips for preparing and enjoying your summer bounty, plus a look at the health benefits of eating from your own garden. Gardening meets cooking, when Charlotte Talks.